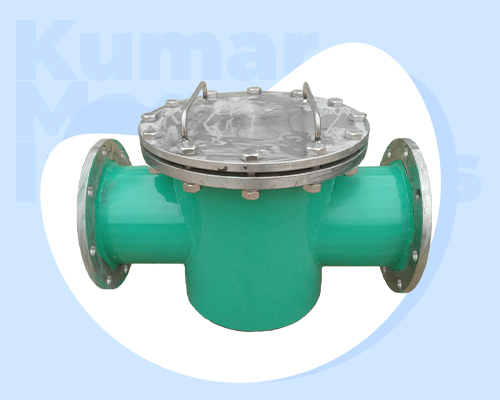 Preserving the product purity is important and can be achieved only by installing Magnetic Ferrous Trap in pipelines for the filtration of liquids. Jupiter Magnetics Private Limited is one of the most determined Magnetic Ferrous Trap Manufacturers In Delhi and we have a diverse range manufactured at our in-house facility under the supreme supervision. Known for reducing damage and prevent pumps from jamming. Have Good Pressure Handling Ability: Every process has different requirement and the magnetic ferrous trap has good pressure handling ability to ensure the optimum performance and better efficiency. Ensure Magnetic Protection: Permanent Magnetic Ferrous Trap is used for extracting magnetic particles from the material that will ensure purity of the product and keep them protected. Simple Inspection: With the help of magnetic ferrous trap, inspection and cleaning has become easier and will ensure better output in results. It has a wide application area and used for removing iron and other contaminants from slurries, liquid pharma products, liquid food items, chemicals and hydraulic oils, etc. To discuss customizations you want in your product, contact our executives now. Being one of the popular Magnetic Ferrous Traps Exporters and Suppliers In India, we are right here to serve our customer assistance. So, don’t delay, contact today.